Voting for the Arts and Science Federation of Associations general elections will run from March 21-23. ASFA represents about 20,000 students within Concordia’s Arts and Sciences programs. Quorum, the number of students that need to vote for the election is 435. All executive and independent councillor positions are open. Most of the positions are expected to be filled, with the exception for the Vice-President of Communications and Promotions,l as no one is running for that position. After spending a year as the Vice President of Internal Affairs of ASFA, Sutera Sardo is running to become ASFA’s President. She is hoping that ASFA can make a greater impact on its students, and member associations by making significant changes to its structure and by-laws. One of her main priorities if she is elected is to hire an advocacy coordinator for ASFA, and to continuing to work with the Task Force, that they’re mandated to do. ASFA was mandated by the Centre for Research Action on Race Relations to create a Task Force after a member faced discrimination and harassment from executives in 2014. The Task Force is to insure that it doesn’t happen again. Sutera Sardo wants to continue to push for free menstrual hygiene products on campus. In January 2017, she, along with ASFA’s advocacy committee, gave away $2,000 worth of menstrual hygiene products in the Hall building mezzanine on the downtown campus. In terms of changing ASFA’s reputation, she said that organizations grow through criticism. She added that what ASFA does is more important than the image they have. If ASFA does good things, she said, its image will eventually get better. Czich is a second year Communications student at Concordia, and the outgoing Vice President of Social Affairs of the Communications Studies Student Association. Because of that, he has experience with hosting events. If elected, Czich’s mandate will include organizing Frosh and Orientation. He wants to keep the experience enjoyable, simpler, and safer for first year students. He said this includes continuing consent training. Czich also said that he’d like to have events at all times during the day and night, so they’re more convenient for students. He’d also like to organize events or competitions for member associations throughout the year. “Bringing out the competitive spirit with a new fun and active way to take part in student life,” said Czich. Bruzzese has worked with ASFA for the past three years on various projects. She currently sits on the finance committee, social committee, and academic committee. “I feel like at this point I have enough knowledge and experience to be able to provide the ASFA student body with the kind of support that they would need from the executive and I feel like it would be honestly an honour to be able to help ASFA grow,” she said. If she wins, she hopes to tackle ASFA’s visibility issue. She explained that the federation always has issues meeting quorum for elections, and that they don’t have enough people attending their events. 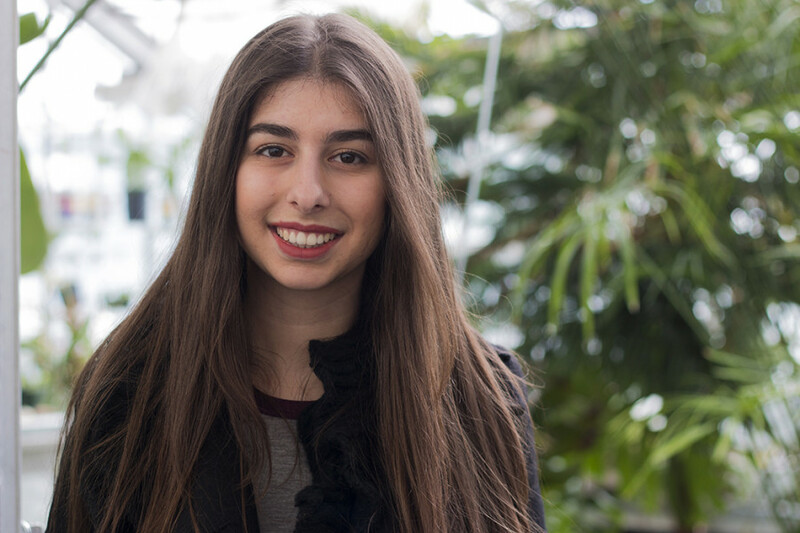 If she becomes VP Sustainability, she hopes to ensure that all events and member associations become more sustainable, by working with the Concordia Food Coalition and other sustainable Concordia initiatives. Gregory Bedell is a fourth year anthropology student, with experience in member associations—he’s been involved with the Sociology and Anthropology Student Union since last year, and is currently their VP Academic. He feels that first year students, especially at Loyola, aren’t informed about student life and student associations enough. He hopes to change that by organizing more events and creating informational brochures, explaining the student associations to first-year students. He feels that getting students involved in their first year will lead to more academic success. He also hopes to partner with the Concordia International Students Association, in order to get international students involved, and make them feel welcome. He would like to start a procedure for ASFA and member association to open up a channel where students can submit anonymous concerns and complaints. These concerns would then be brought up to their respective faculties. “Informing them that yes, we’re here for your social events but we’re also here for complaints,” he explained. This year, Valente was the Vice President of Finance, for the Concordia Association for Students in English, and a councillor on ASFA. He has also worked on ASFA’s finance committee, and with the current VP Finance, Christina Massaro. He acknowledges the fact that working for ASFA is going to be challenge, but it’s a challenge he’s willing to take on. Valente said that if he is elected and if ASFA students vote “yes” to the fee-levy increase in the referendum, he would allocate the extra money to member associations and their special project funds. Although it is not a part of his mandate, Valente said that he wanted to see if online voting is viable for ASFA elections. “I want to take the chance for myself and I hope that other people will let me have that,” Valente said. In his four years at Concordia, Steven Tutino had never really considered getting involved in student life. He’s volunteered at the Concordia Student Parent Centre, Student Success Centre, and Co-op Bookstore. Tutino also sits on the editorial board and creative board of the ASFA Interdisciplinary Academic Journal. Tutino feels his studies in English Literature and Theological Studies make him a good candidate for the position. He says his fluency in English will help him read and interpret the documents and bylaws. He also says that his presence on campus for the past four years has allowed him to know the campus well. He hopes to pass on this knowledge to others through this position. If elected, he hopes to unite all of ASFA’s member associations, and ensure they are all “on the same page.” He hopes to do this through his work with the academic journal and in reading and understanding the bylaws and regulations, in order to determine where there is room for improvement. He also hopes to create more spaces for Concordia’s LGBTQ community to express themselves, and hopes to expand Queer Concordia.